response from property - Jan 16, 2019 Hi Danielle, Thank you for the awesome review! We really appreciate you as a resident and thank you for calling Berkeley and Warwick Place home! Sincerely, Ashleigh N.
response from property - Dec 14, 2018 Hi Kimberly, Thank you for the 4-start review! 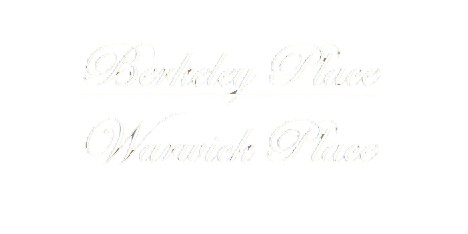 We are happy to hear you enjoy calling Berkeley and Warwick place home! Sincerely, Ashleigh N.
response from property - Nov 09, 2018 Hi Da Sheem, Thank you so much for your positive comments about Berkeley and Warwick Place! We are happy to hear that you are enjoying your experience at our community. If you ever need anything, please feel free to give us a call or stop by. We're always happy to help! Sincerely, Ashleigh N.
Really need to work on trash around trash cans as well as fumigate also there are many roaches in my apartment that comes from other apartments submitted by Courtney M. - Nov 05, 2017 |Recommended: NoI would tell them it is often trash outside of my apartment and at the trash cans as well as mattresses and other furniture. To the point where it's embarrassing to invite over company. I would tell them that I have had problems with lots of roaches coming into my apartment ever since my neighbor moved on and the exterminator has come out several times but can not seem to kill them I would tell them that these apartments are not worth 800 a month the rent is too expensive being that u can live in a nice chester or chesterfield area paying the same or a LITTLE more for a better area and nice environment to live in. I would also tell them that I have been here since February and since then my apartments have been on the news 3 times. response from property - Nov 06, 2017 Thank you for taking the time to review our community. We want to express our sincerest apologies for any inconvenience the pests have caused. We regularly have pest control treat the community, but understand that at times pests may return. We have cleaned up the area around the trash receptacles and will have pest control treat your apartment today. Should you need to speak with our property manager further regarding your concerns, please contact her at 804-233-0101. Awesome place to livesubmitted by Shelita G. - Aug 09, 2017 |Recommended: YesGreat price and nice and clean. I would recommend this complex to anyone. Has to be the best place to live on this side of town. Love his place submitted by Shelita . - Jun 24, 2017 |Recommended: NoThis is a great place to live. The neighborhood is kept clean and there is not too much extra noise. When something happens in the community, management sends letters to update the residents. Every time I've had a maintence issue it was fixed quickly as possible. The office staff are nice and the rates are affordable. I would recommend this place for those on a budget. Nice, Quiet, Cleansubmitted by David B. - Jun 05, 2017 |Recommended: YesLiving here has truly been very nice and comfortable and not a lot of thru traffic due to the limited way to enter the property therefore has contributed to the low level of crime over here. The complex is cleansubmitted by Herbert G. - Feb 01, 2016 |Recommended: Yes I love the location and how spacious the apartment is. Clean, Spacious, Nice Community with Attentive Staffsubmitted by Lynn S. - Dec 08, 2015 |Recommended: YesI love my townhouse The layout is great and I can entertain easily, my friends don't have issues finding parking either. The staff is great and always takes care of any issues quickly and efficiently. They are also considerate of my pet, making sure that he is safe during any maintenance that is done. My main disappointments are that I don't like opening my windows when the weather is nice out because my neighbors smoke outside and it drifts into my apartment and that I don't have laundry in my townhouse. response from property - Dec 09, 2015 Thank you for taking the time to submit a review. We strive to provide the best customer service possible to ensure an enjoyable experience for our residents and are happy to hear that we are meeting your expectations. We are elated to hear that you enjoy calling Berkeley Place home! response from property - Nov 09, 2015 Thank you for you for sharing your concerns with us and for allowing us the opportunity to respond. We understand your concerns and sincerely apologize for any frustration caused by our team. Our maintenance and management teams strive to provide the best customer service possible, and we are dismayed to hear that we did not meet or exceed your expectations. Our property manager would like the opportunity to mend our relationship and to speak with you further regarding your concerns. Please contact her at 804-233-0101 at your earliest opportunity.